Recent years have seen an explosion of new research dedicated to understanding the link between psychological trauma and juvenile delinquency. Building on the work of the previous decade which uncovered shocking rates of trauma exposure and posttraumatic stress among juvenile justice-involved youth, more recent work has focused on uncovering the underlying developmental mechanisms that account for the association between trauma and antisocial behavior, as well as identifying the intervening processes that might encourage youth to be more positively social. 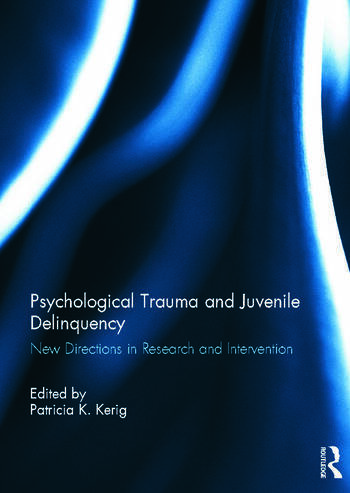 Part I of this volume is dedicated to research investigating the moderating and mediating variables that might explain how childhood trauma is transformed into adolescent misbehavior. Expert contributors analyse a wide range of both traumas and traumatic reactions, and diverse samples, including little-studied sexual minority youth. This volume is unique in the particular attention it pays to the relatively neglected female offender. Part II describes innovative evidence-based treatments designed specifically to intervene with trauma among delinquent youth, including milieu, individual, group, family and parenting interventions, as well as a novel youth theatre. The collection concludes with reflections on social policy related to the development of a trauma-informed juvenile justice system. This book was originally published as two special issues of the Journal of Child & Adolescent Trauma. Patricia K. Kerig, PhD is Professor and Director of Clinical Training at the University of Utah, USA. She received her doctorate in clinical psychology from the University of California at Berkeley. She is the author of numerous works dedicated to the developmental psychopathology of childhood and adolescent trauma.